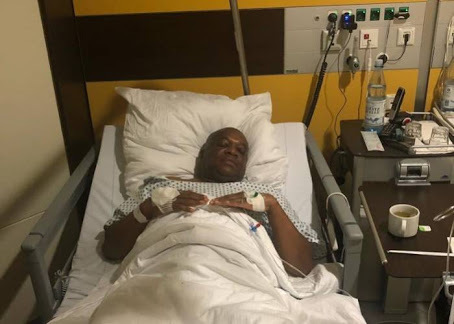 A Federal high court in Ikoyi has revoked the bail it granted a former governor of Abia state, Orji Uzor Kalu in a N7.5 billion fraud trial he is currently facing. The Judge said; "I have perused the proceedings from court records and I discovered that one of the conditions for granting bail to the 1st defendant, who happens to be Orji Uzor Kalu, is that he should deposit his international passport with the court and the permission must be granted before he can travel outside the country for whatever reason. "It is clear that the 1st defendant has flouted this order. No one, high or low, rich or poor can disobey a valid order of court and expect such court to show mercy. "Consequently, the bail granted to the 1st defendant is hereby revoked. It's hereby ordered that the first defendant upon his returning to Nigeria must submit himself to the Economic and Financial Crimes Commission (EFCC) with all his travelling documents. EFCC should effect his arrest if he fails to submit himself." “In line with the neurosurgeon's advice from Germany which stated that the 1st defendant should be on hospital bed rest between ten to twelve months, this case is adjourned to January 23rd, 2019 for trial day today,” the judge ruled.